When it comes to buying vintage clothing, no matter what shape you are, it is all about experimenting. Whereas one person might say that you should mix vintage with modern clothing. Some people will say that you should stick to one era and dress this way from head to toe. Others will say that you should have fun with vintage clothing and mix and match a thirties hair-do with a forties skirt suit and a fifties hand bag. I for one like to mix and match different eras and on some days I match my vintage outfit with a modern handbag or shoes. People often remark that women were a lot smaller in ‘those days’ – whatever that means. In fact, women were not particularly smaller; they just wore lingerie and undergarments such as girdles and corsets that gave the required structure to the garment. When buying vintage clothing – especially online, you need to know your body measurements: bust, waist and hips. 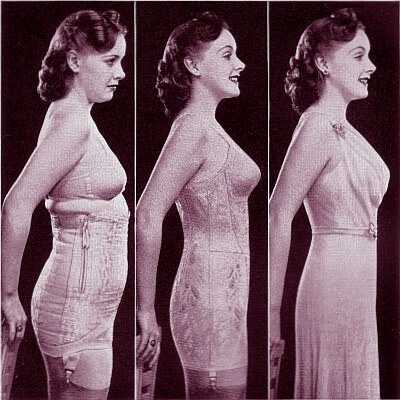 A size 10 today is not equivalent to a 10 in the fifties. Secondly, you need to know your body shape. The best way to do this is to stand in front of the mirror in your underwear. Female body shapes have been categorised into four main geometric shapes – bear in mind that there are very wide ranges of actual sizes within each shape. *Apple or V shape: The silhouette of thirties clothing are perfect for the apple-shaped female. Apple shaped women tend to have slim legs and thighs than their abdomen and chest area. They also tend to have broader around the shoulders compared to their hips. A-line dresses and minis from the sixties will also flatter this shape as it shows off their slim legs and arms and the wrap dresses from the seventies will enhance the bust area. *Pear or A shape: Pear shaped women tend to have considerably larger hips than their waist and bust. The A-line dresses from the sixties (depending on the fabric type) flatter this shape. Also, fitted tops and long skirts and maxi dresses from the thirties and seventies give an elongating effect to the shape. *Banana or I shape: The twenties flapper style with its loose-fitting tops and dresses and sixties mod style were made for the boyish silhouette of the Banana shape. 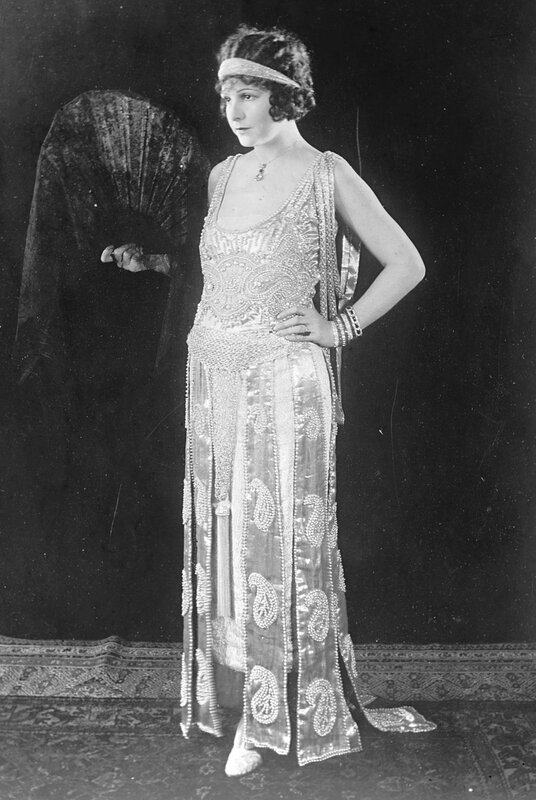 The androgynous shape of the twenties can be quite unforgiving to anyone with a bust or hips and bottom. The forties trouser and skirt suits will also look amazing on this shape. *Hourglass or X shape: Most styles flatter this body shape. The waist is the smallest part of this body shape with the hips and bust at the same measurement. The silhouette of the fifties style with the dresses and the full skirt cinched in at the waist and the bias cut dresses of the thirties flatter this shape by adding fluidity to both the hips and thighs. Capri pants and pedal pushers of the fifties and sixties will also flatter this shape. With all this said, the decision on what to wear is entirely yours. Only you can decide what eras you are comfortable wearing or what outfit regardless of the era best suits your shape. ← That really was the Cat’s meow!